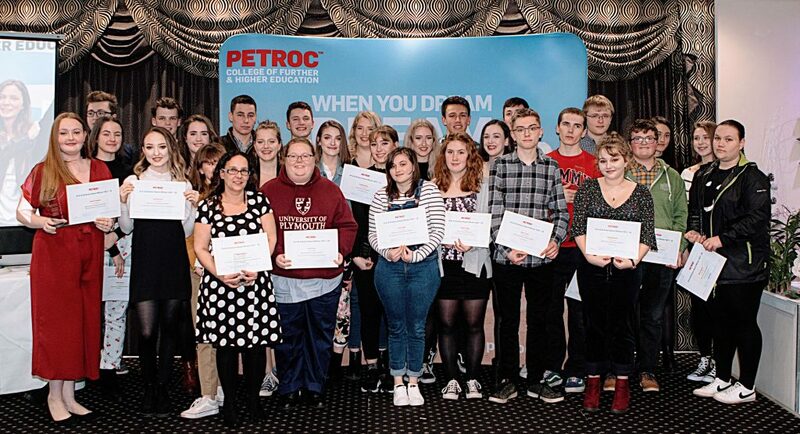 A-level, vocational, GCSE, Access to HE and Creative Industries students who graduated from the North Devon Campus in summer 2018 were honoured in more than 90 awards, sponsored by local businesses, across seven curriculum areas. The awards reflected personal and academic achievement and were collected as glowing citations were read out in front of friends, family and local dignitaries. “I’m delighted to welcome so many of you here tonight, to celebrate the amazing achievements of our exceptional learners. It is always a highlight of the college calendar. “2018 was an outstanding year: A-level students achieved a pass rate of over 99% for the seventh consecutive year and we were announced as the number 1 college in the country in the FE Week’s Nicdex league table. Places are still available at Petroc for September 2019. To find out more about studying at the North Devon Campus, visit www.petroc.ac.uk or attend the next open event on January 22.